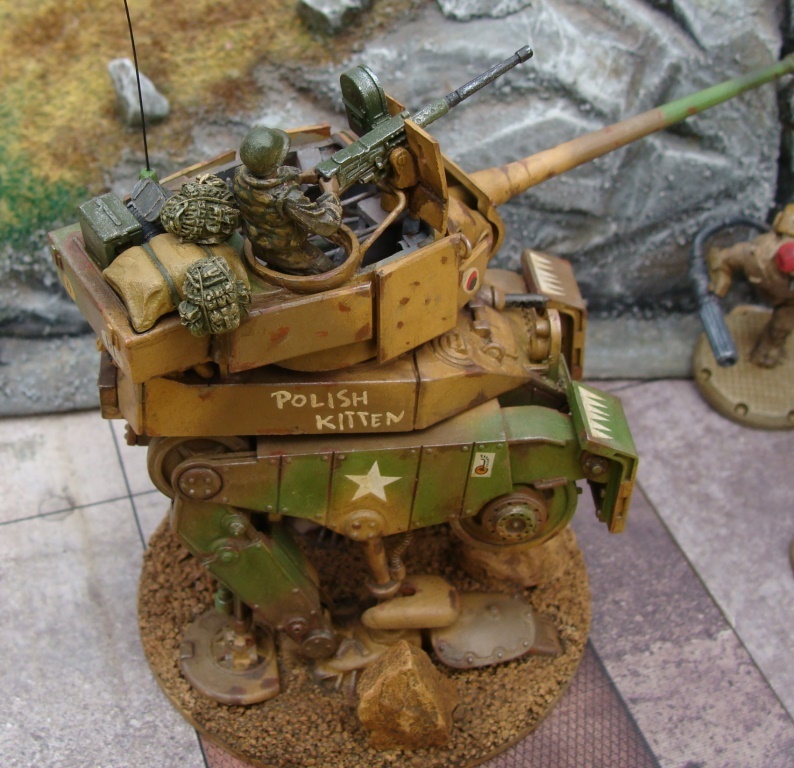 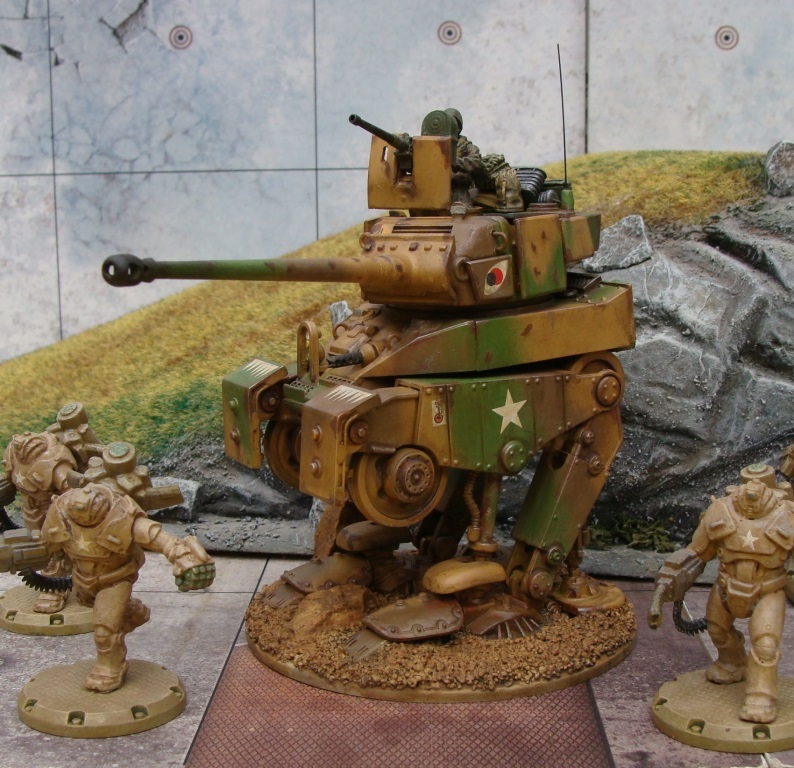 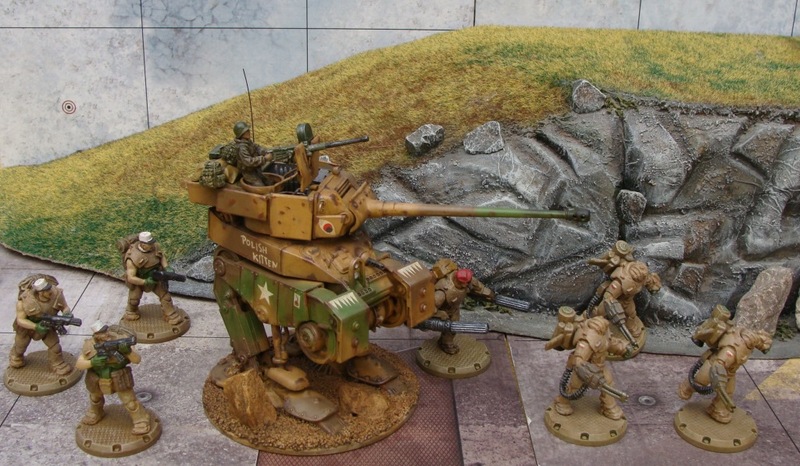 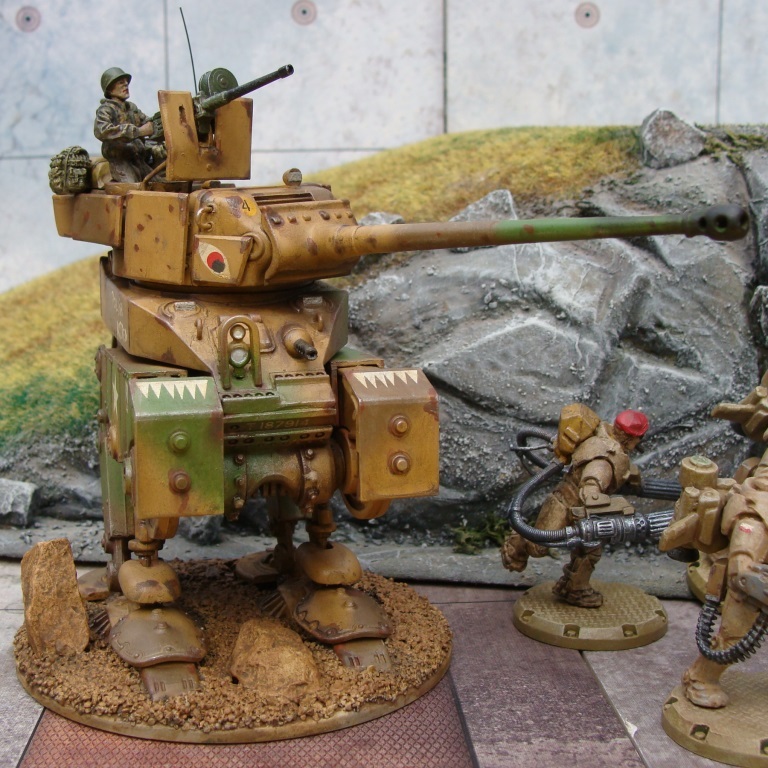 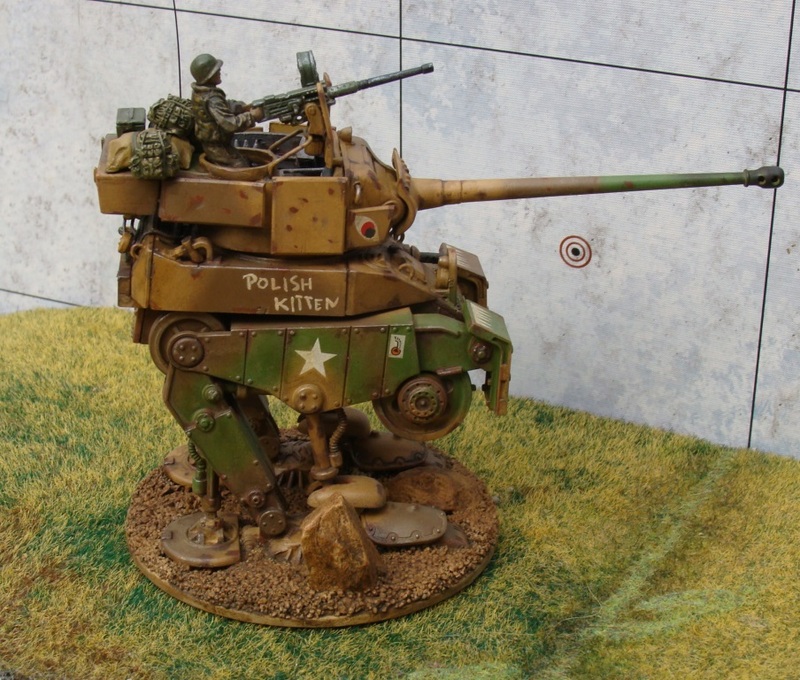 It’s only one day till challenging contest proposed by Bob Sennick – to paint 100p Army during one month, October. 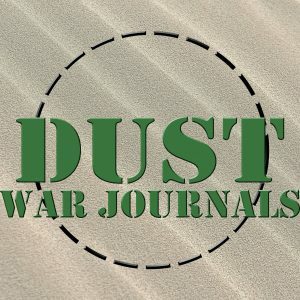 That would be very absorbing challenge which may impact on periodicity of my articles. 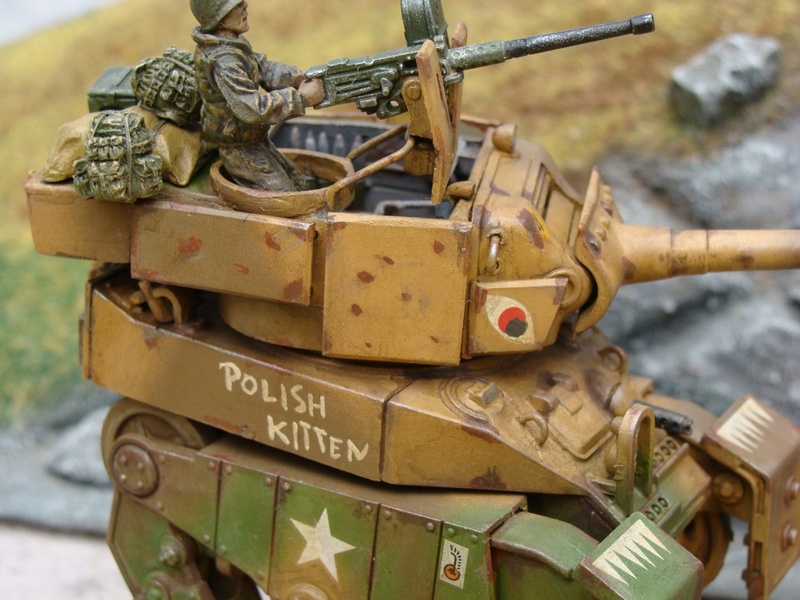 That’s why I decided to published short description of my Light Pounder called „Polish Kitten” now. 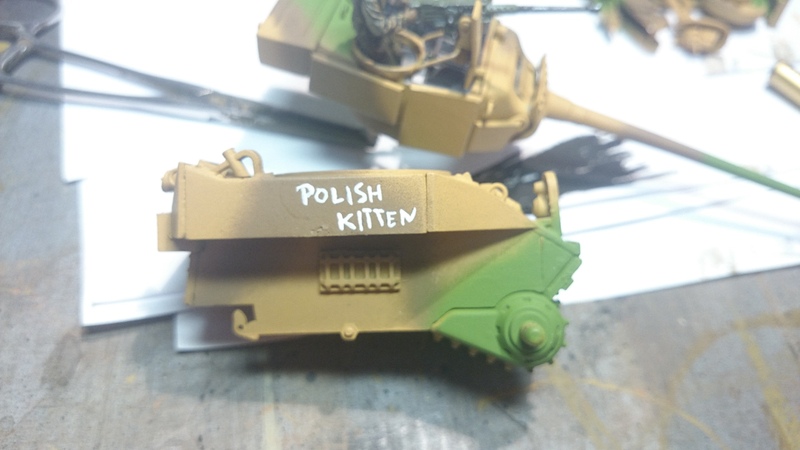 By the way, I should do it much earlier but, please excuse me. 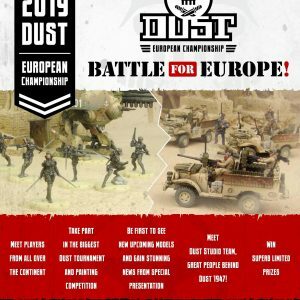 I really proud of this project, especially that „Polish Kitten” won second place during Dust Models Painting Contest which took place during 1st Central Europe Dust Championship. 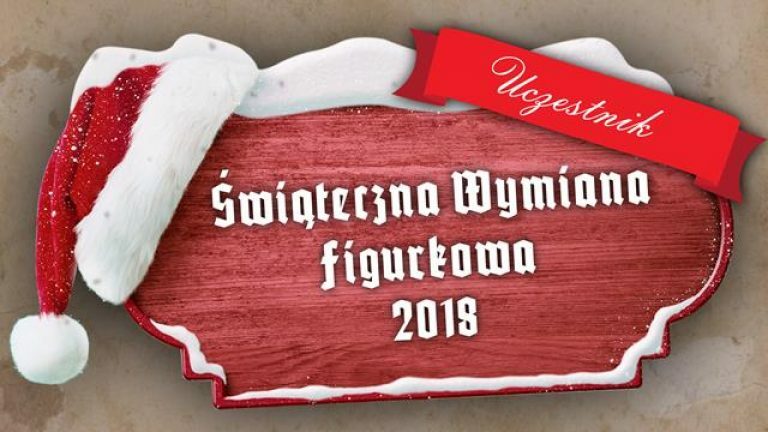 🙂 I struggled with really exquisite competitors. 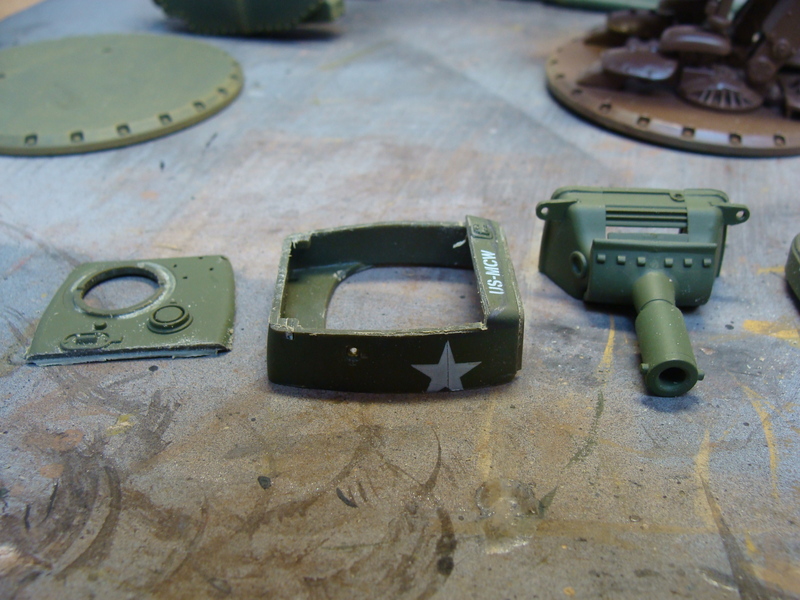 First one is about modeling. 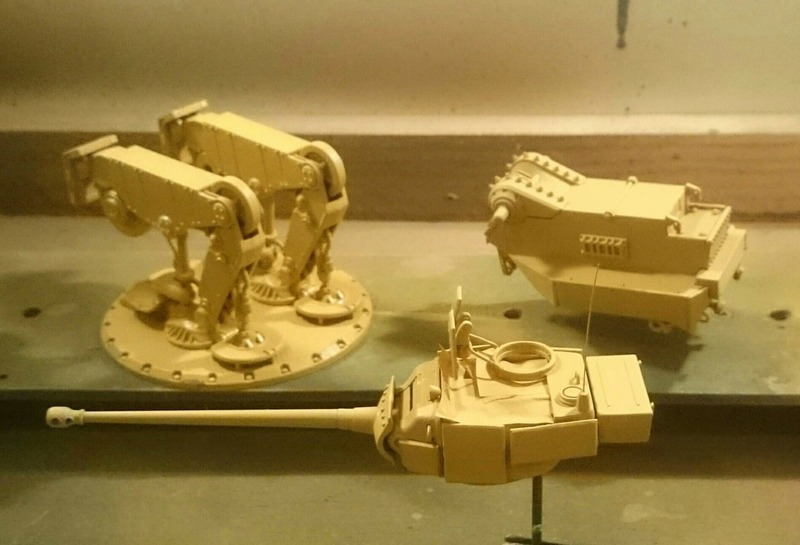 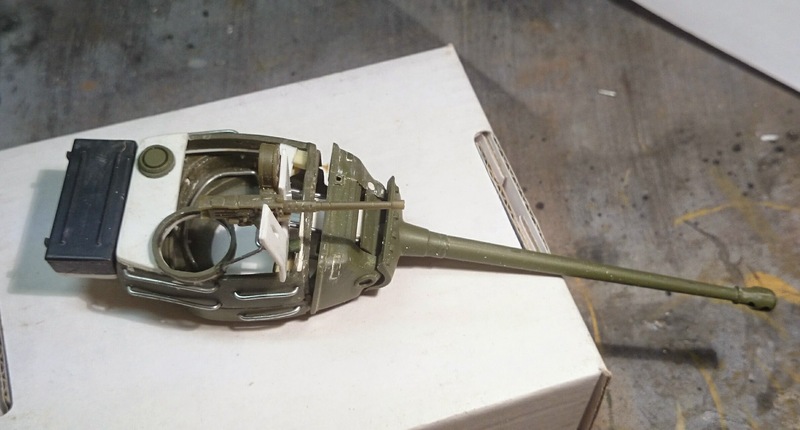 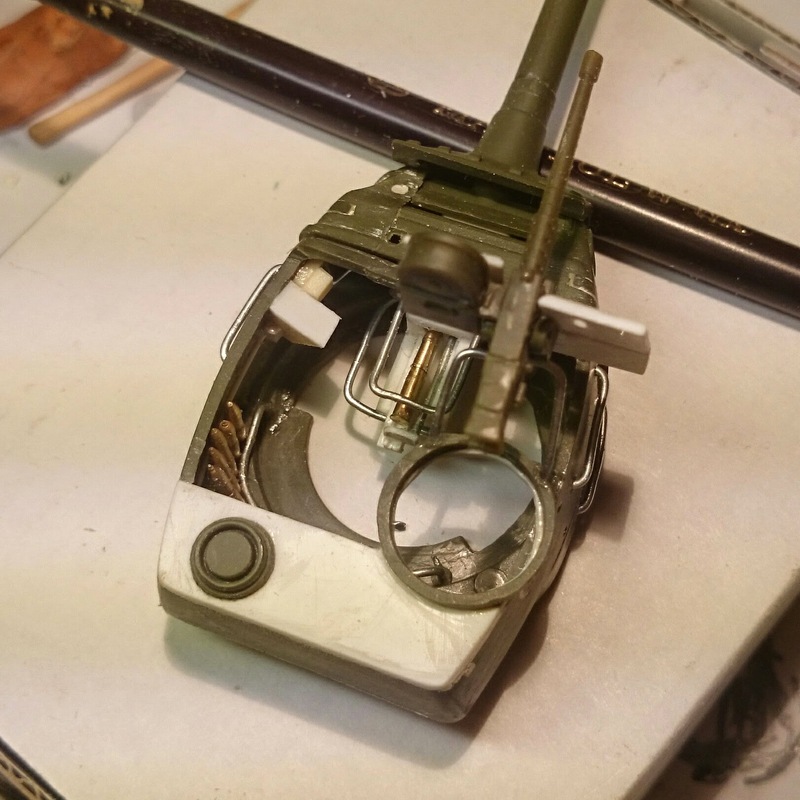 There are photos of turret modification, painting etc. 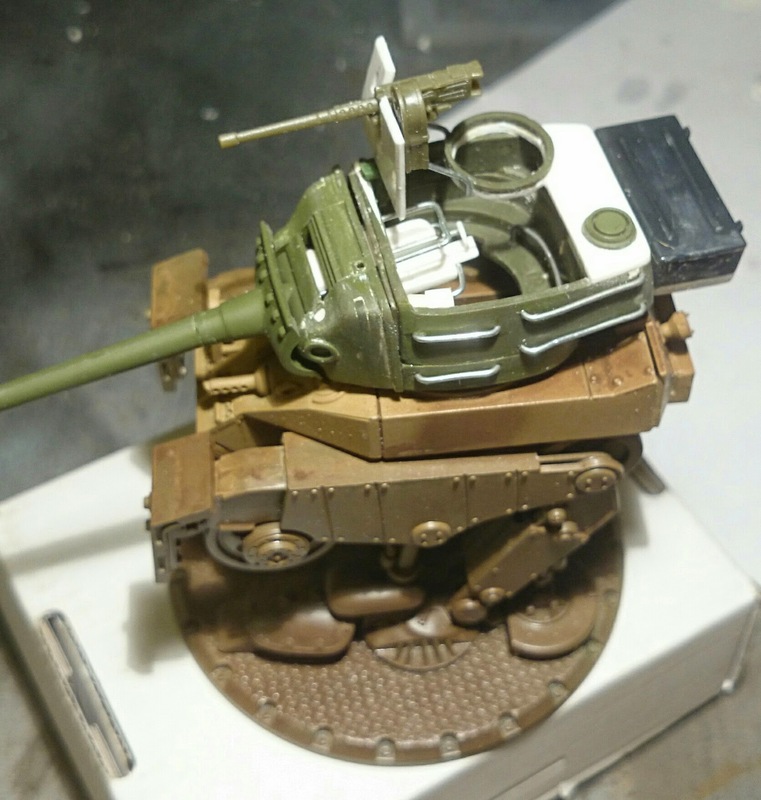 Second presents overview of finished model. 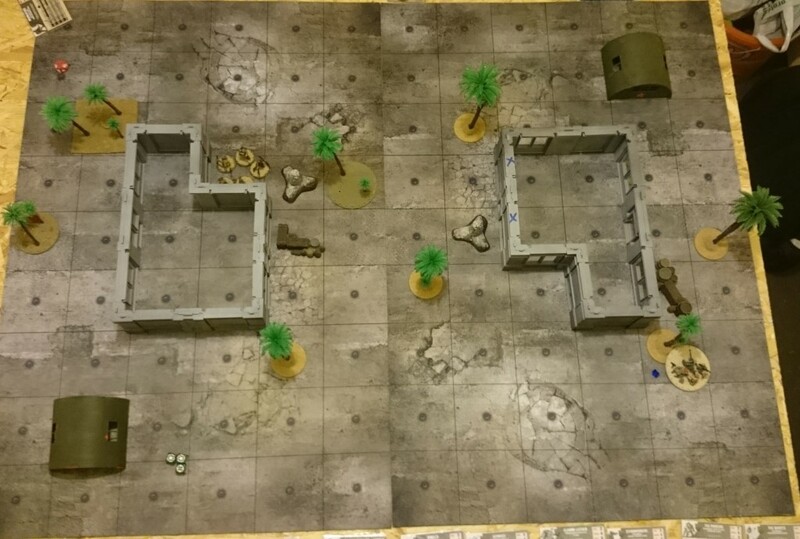 I made a bit photos from different perspective. 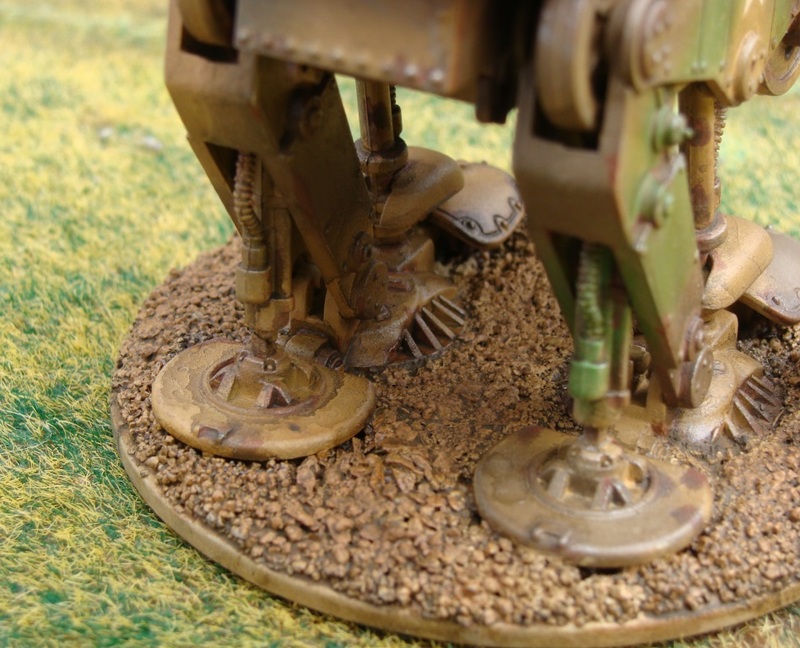 Last but not least, album includes photos which show several details & subtleties of that model. 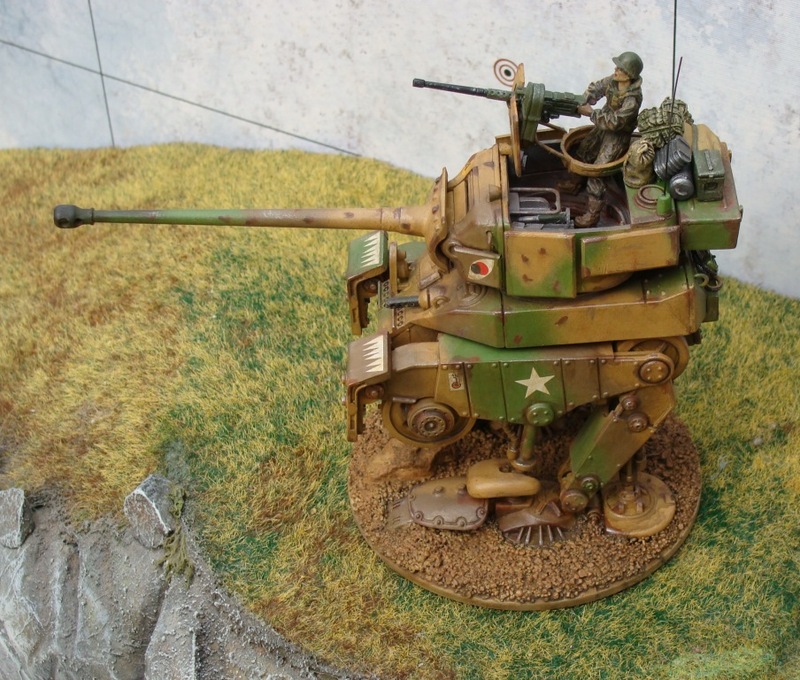 Many thanks to Bob Sennick for inspirational photos of Light Mickey. 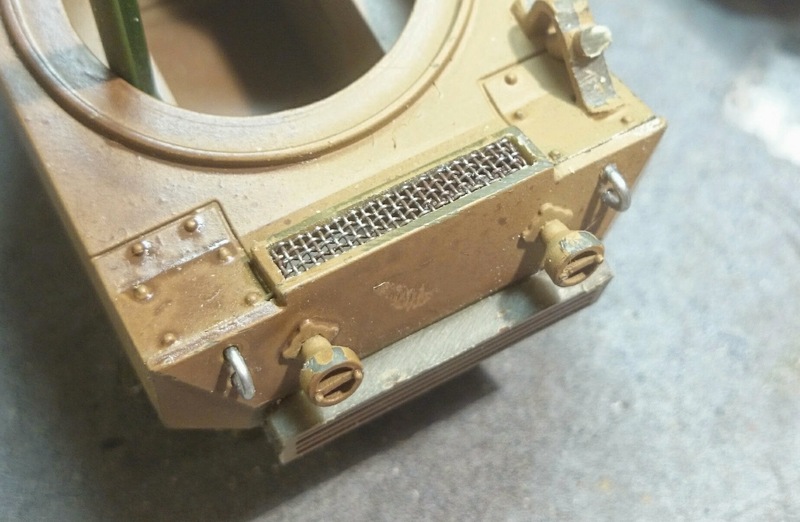 These photos help me a lot. 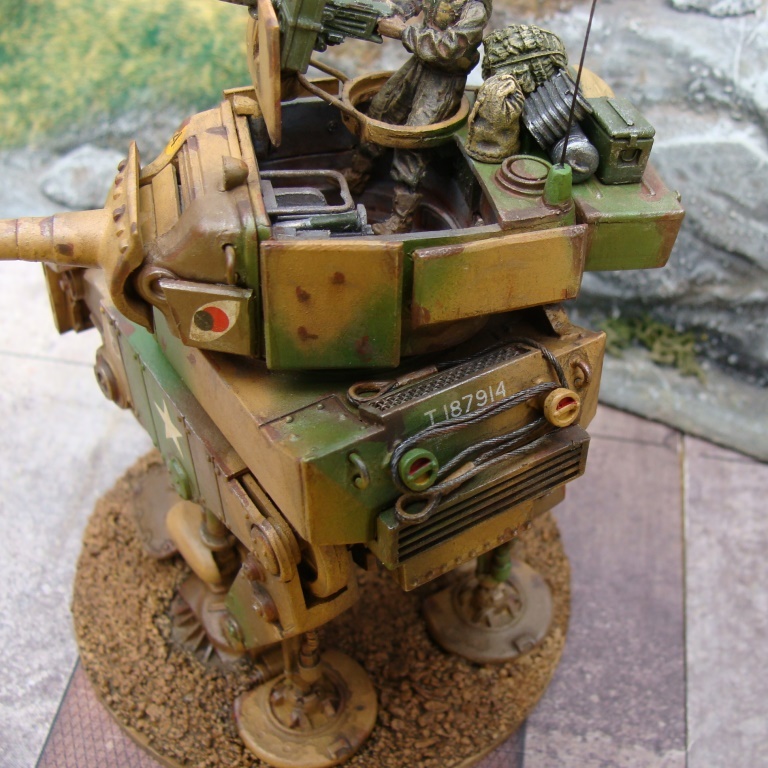 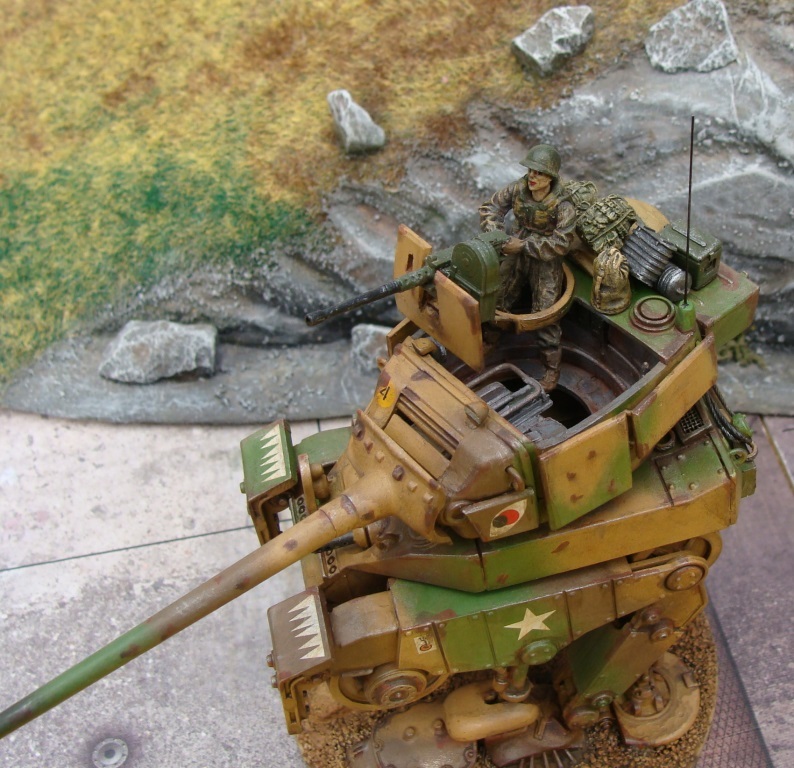 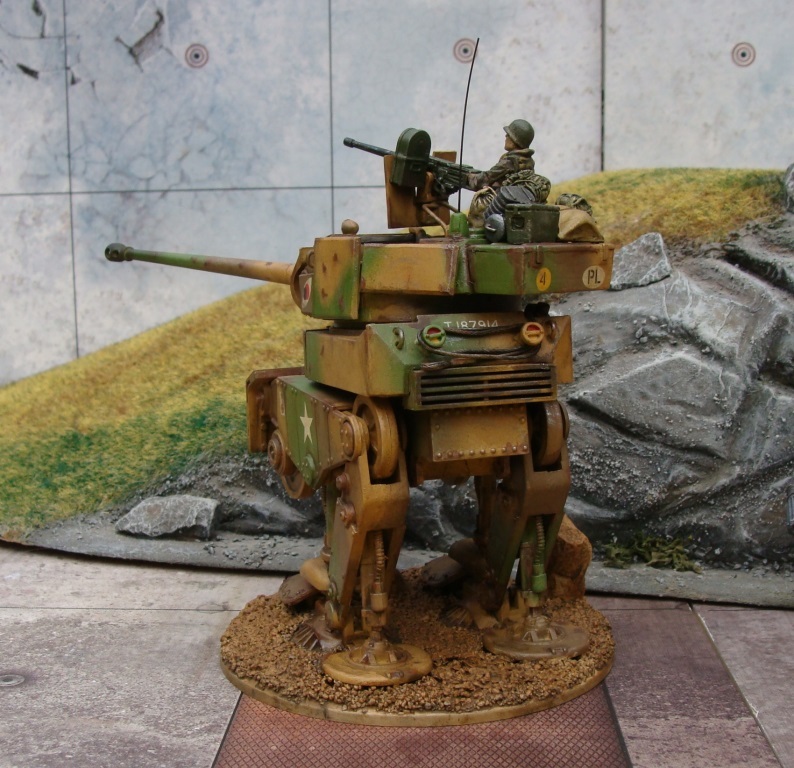 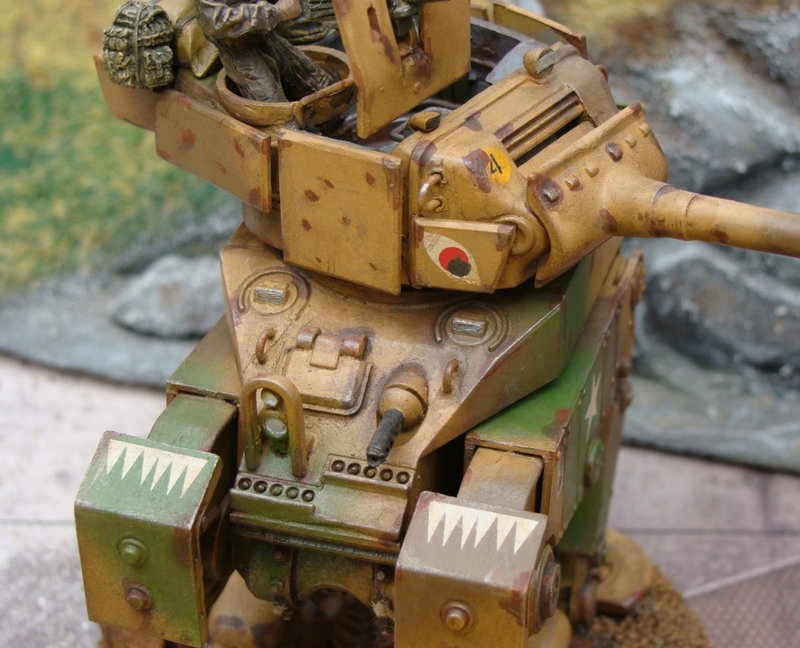 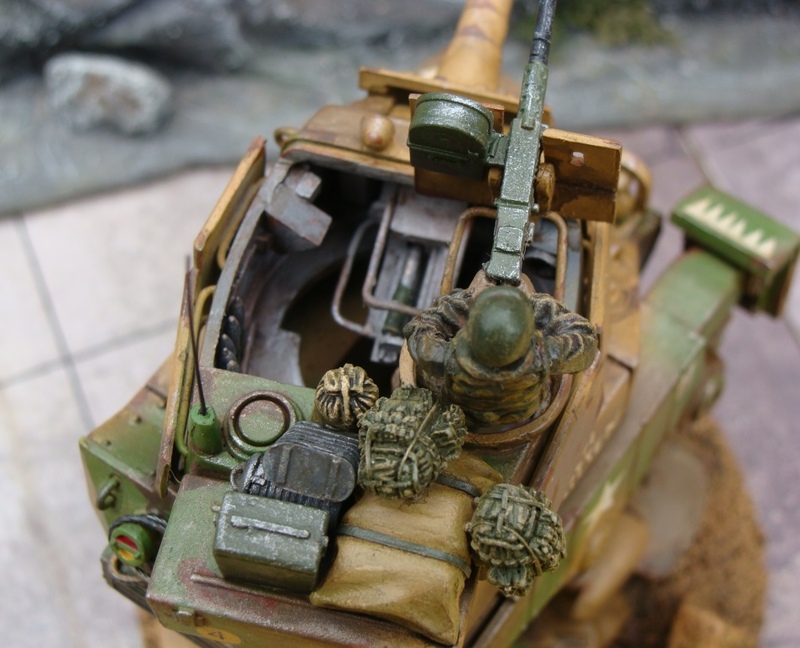 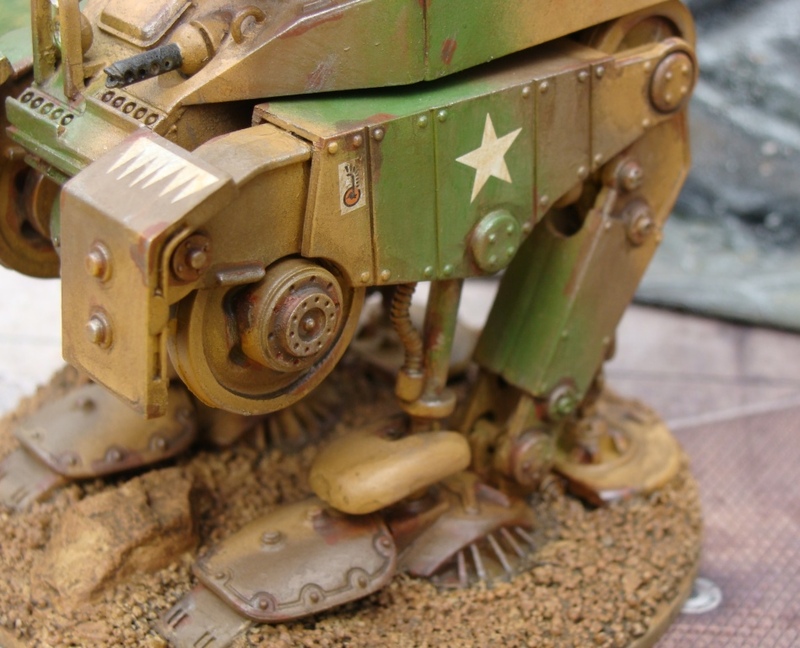 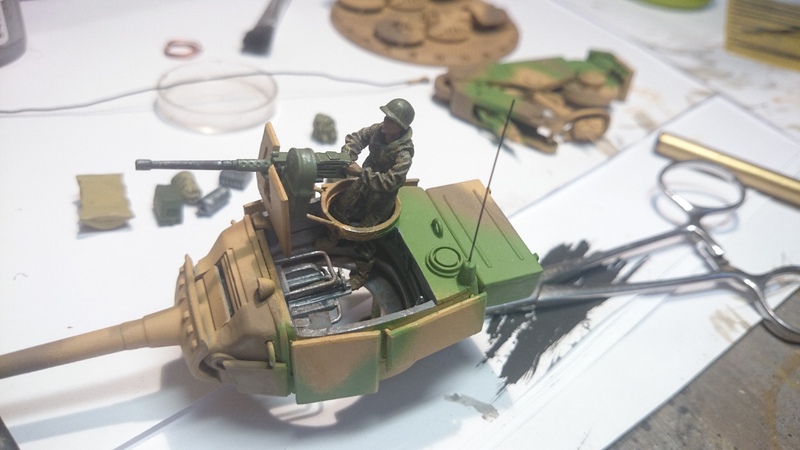 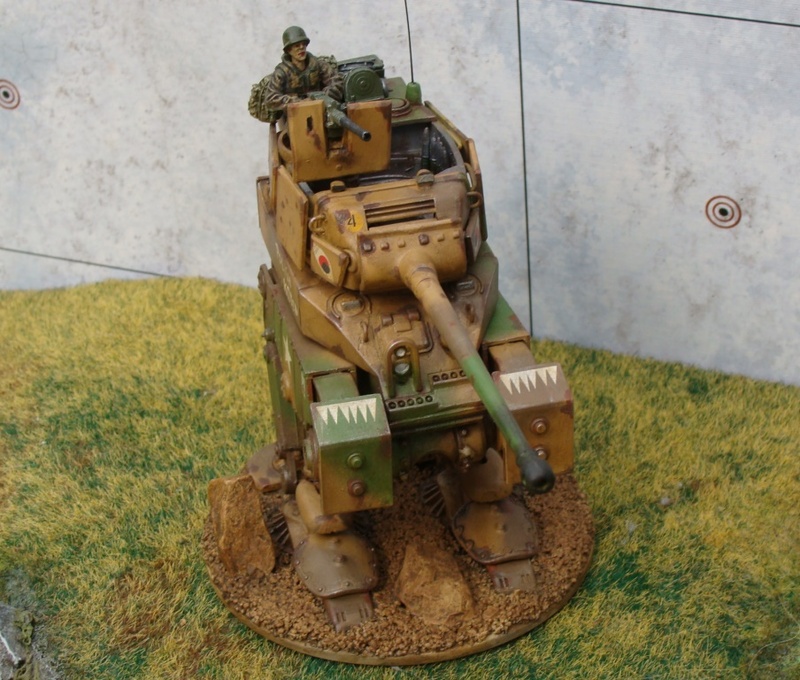 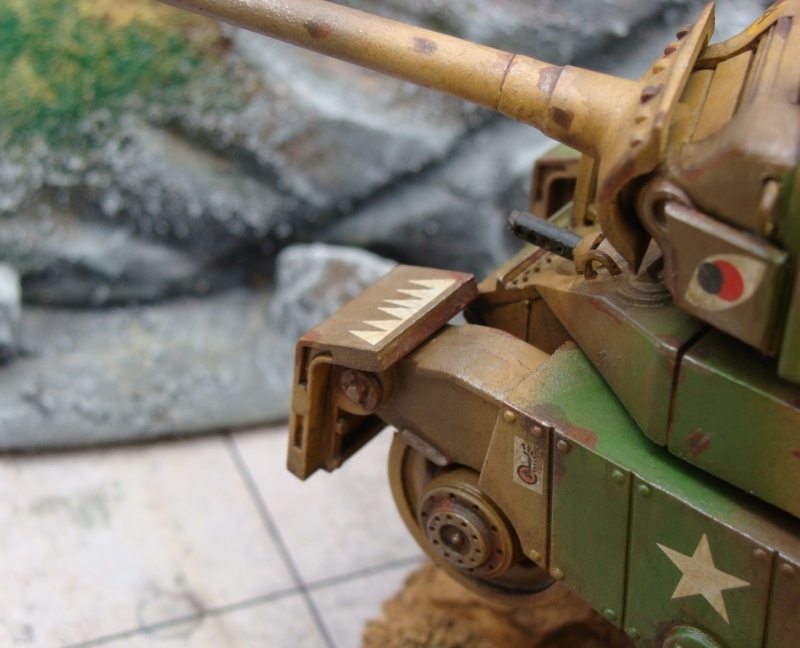 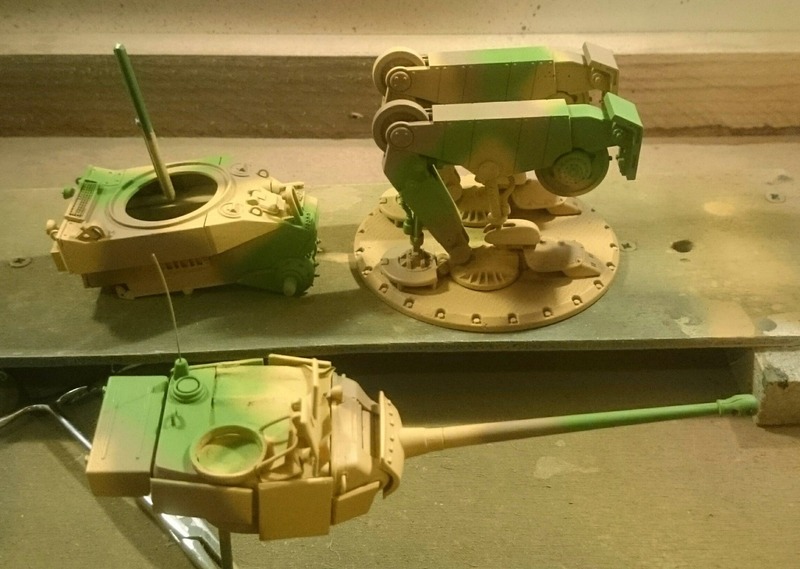 …moreover I wrote few words about modifications, camo and decals of my Light Pounder. 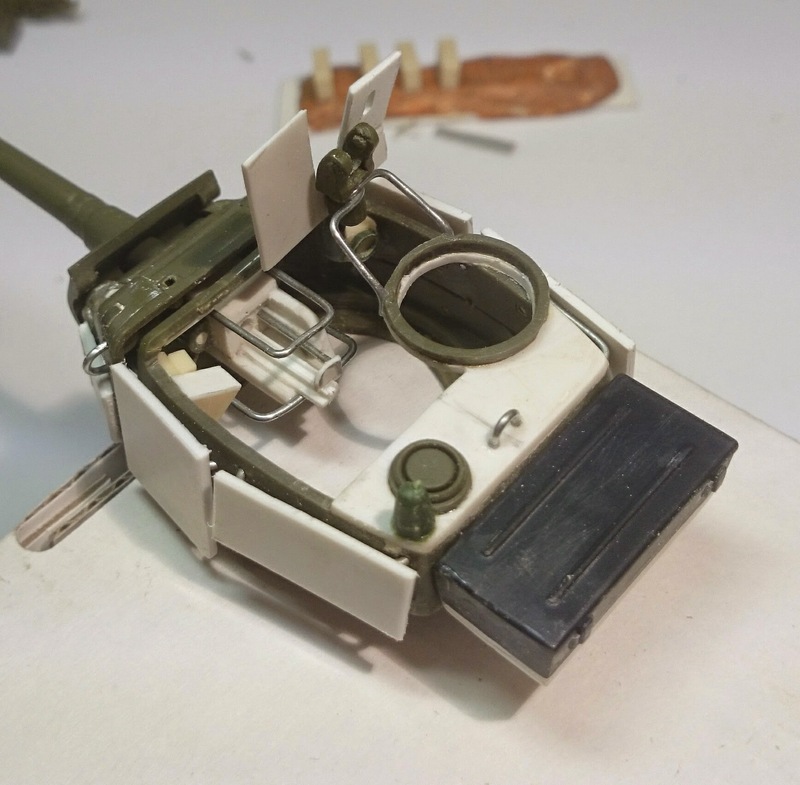 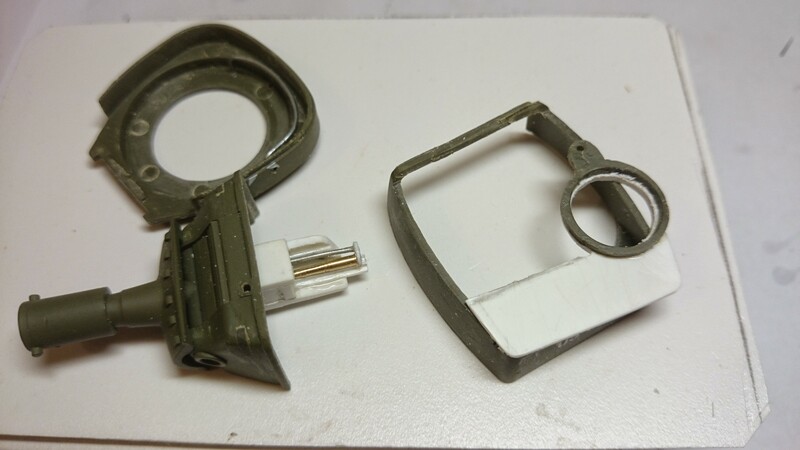 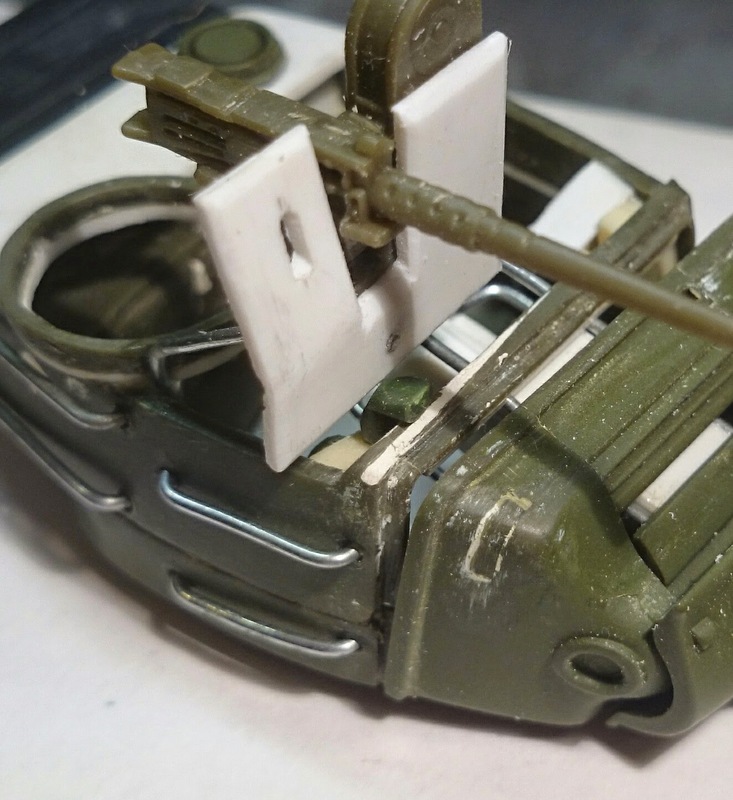 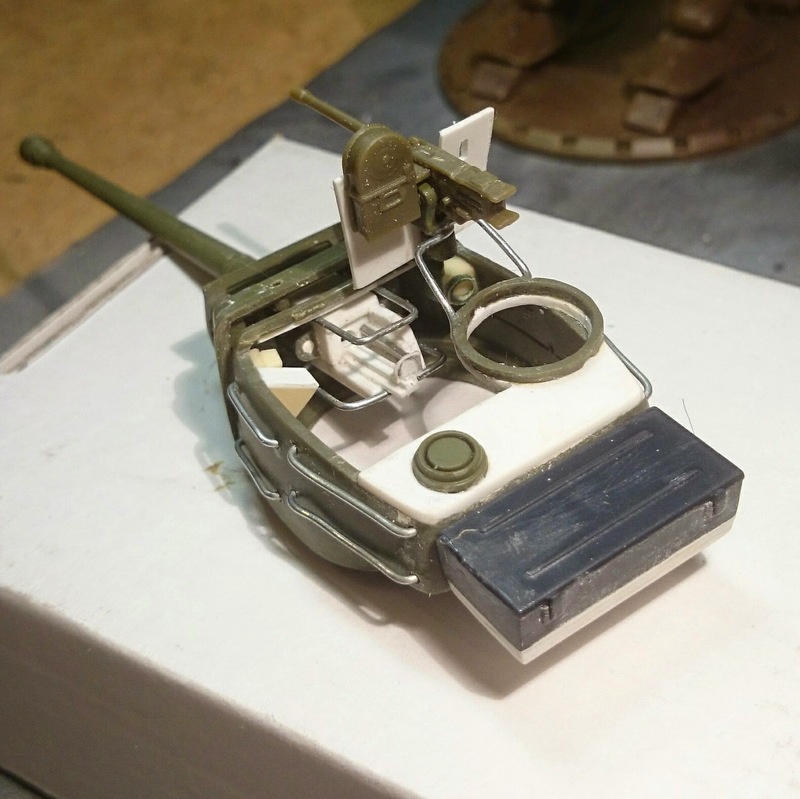 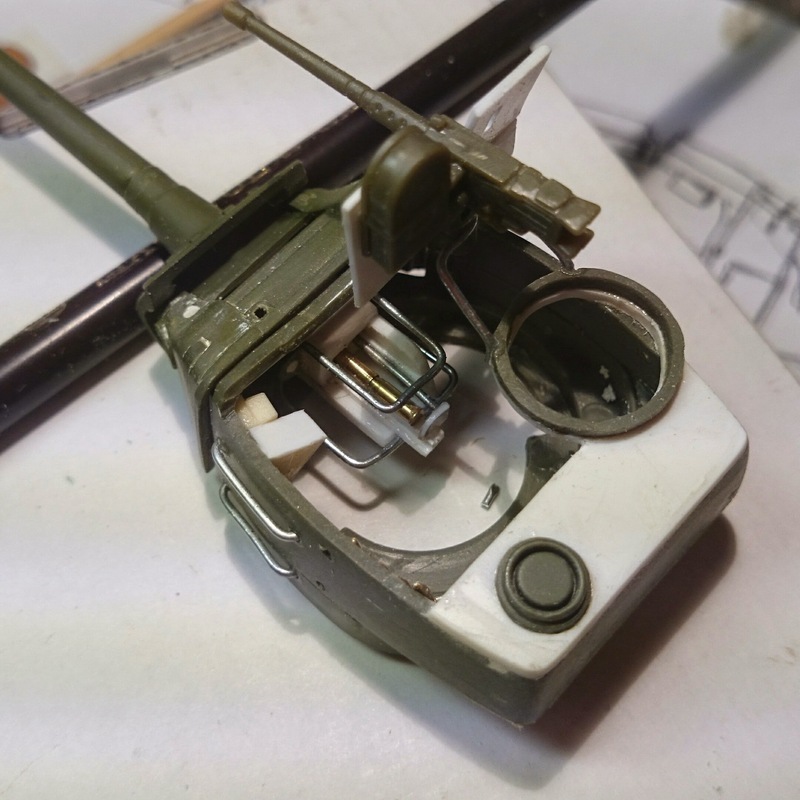 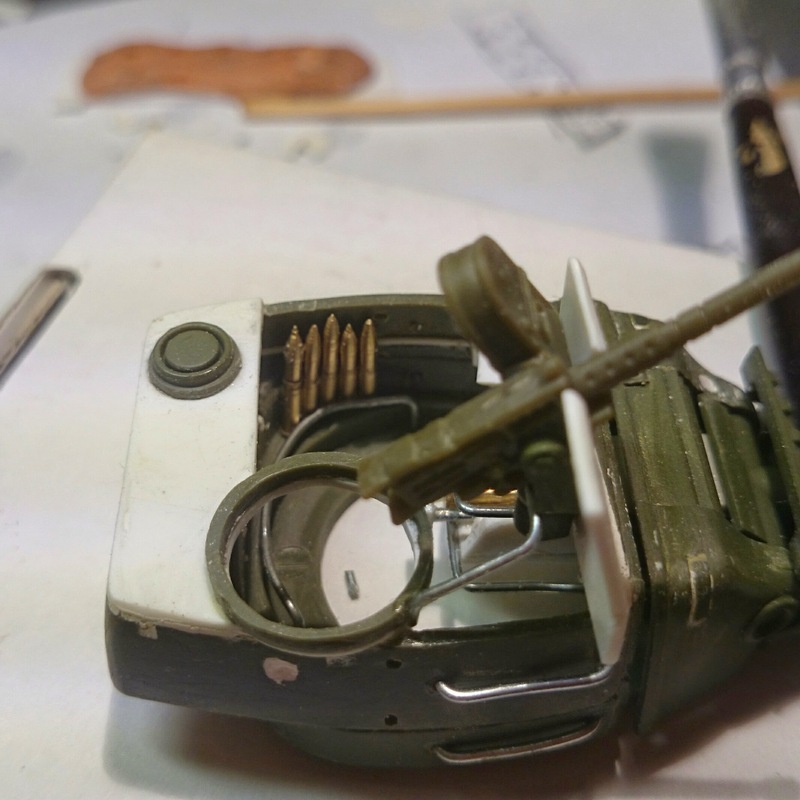 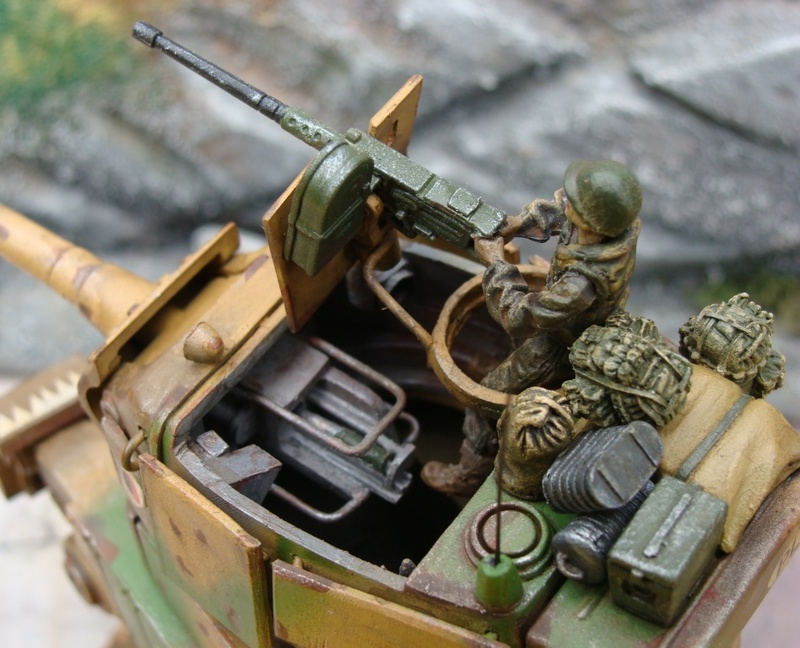 Modifications: Legs – no modifications, Chassis – All hooks for lines made of wire despite of plastic, engine grill made from metal grid, Turret – Rebuilding of traditional Pounder chassis to open version by removal of the upper plate, modelling of interior from scratch except small radio and ammo boxes (resin kits). 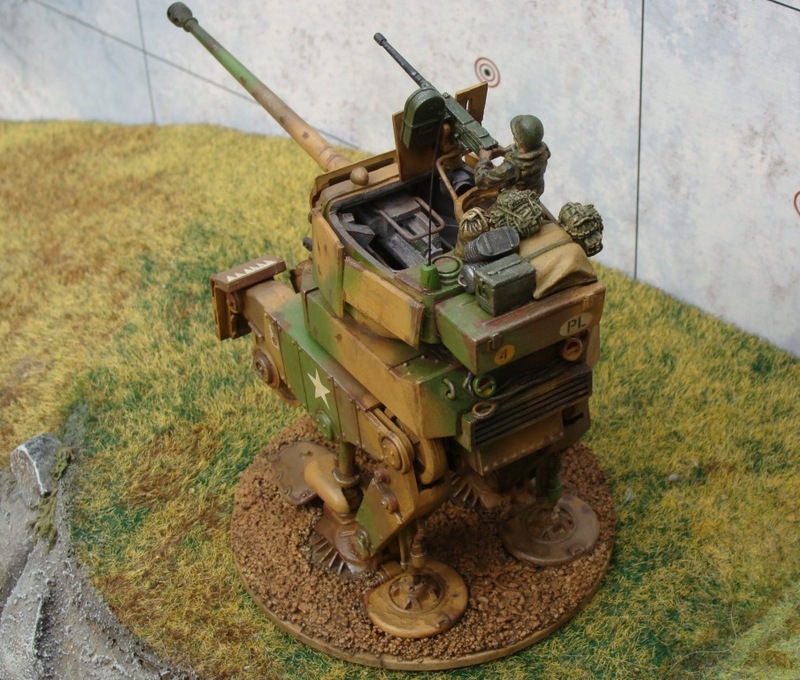 Mount of machine gun based on original but is highly modified by adding dedicated armor-plate and frame made from wire. 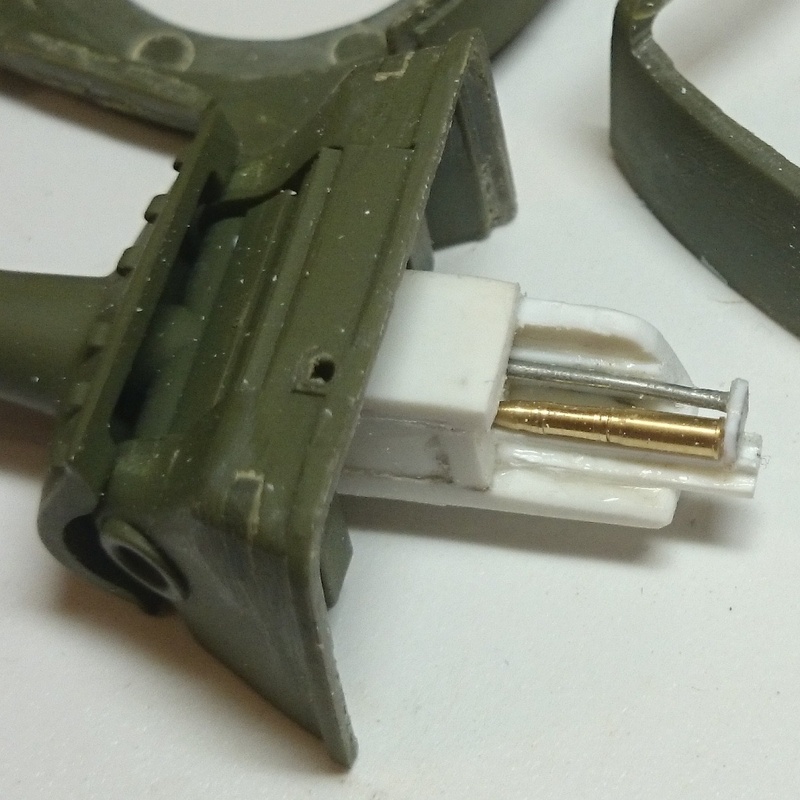 New short upper plate, all internal elements of cannon are made from stretch also. 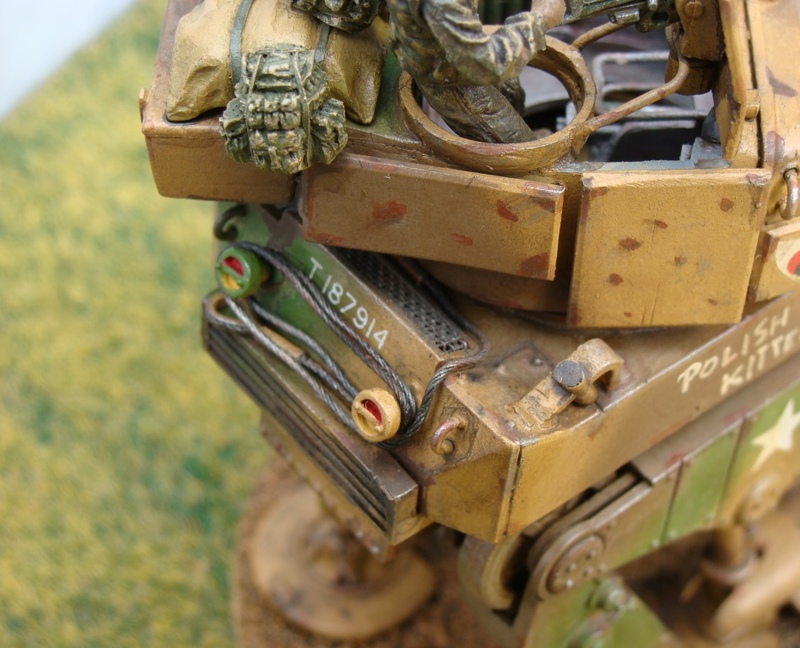 Rear box is made from Axis ammo mortar box but had to be bolded by plastic plates. 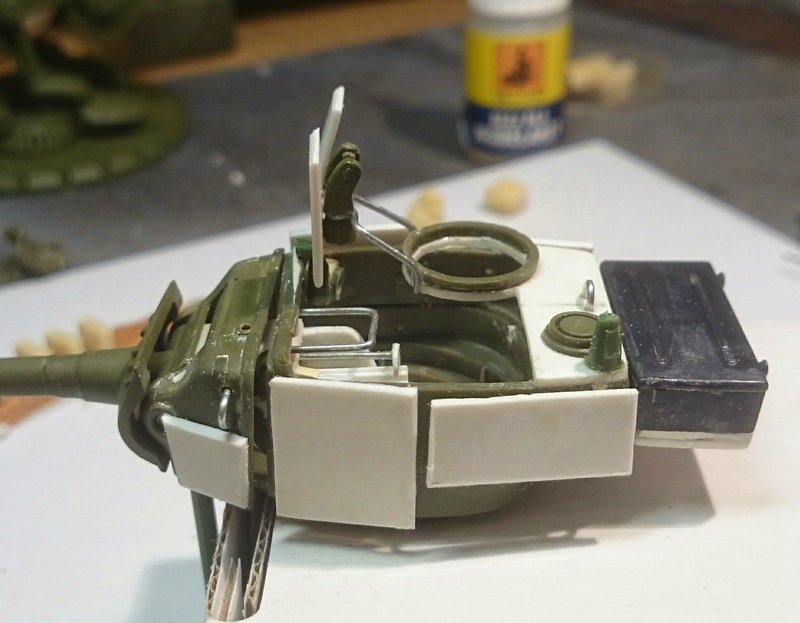 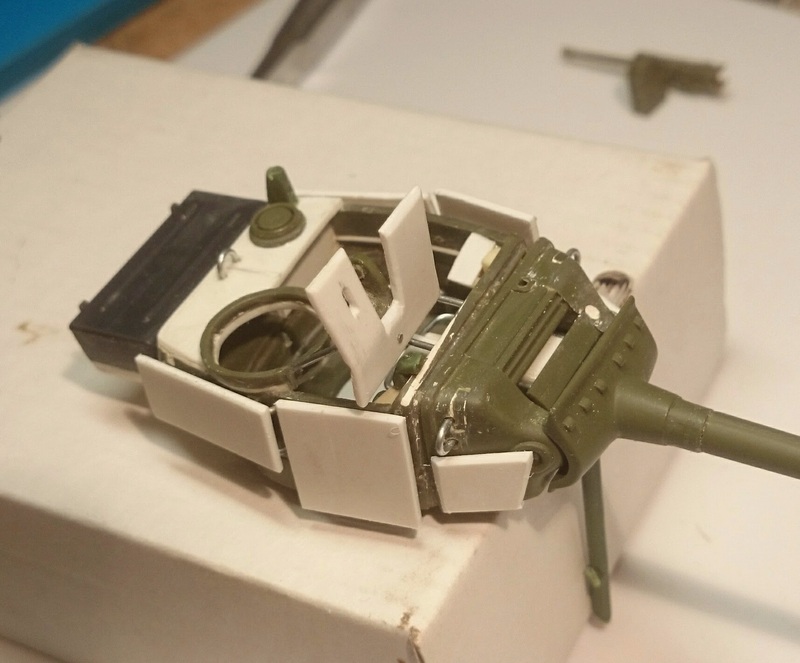 Last modification was adding additional armor plates to the Pounder turret. 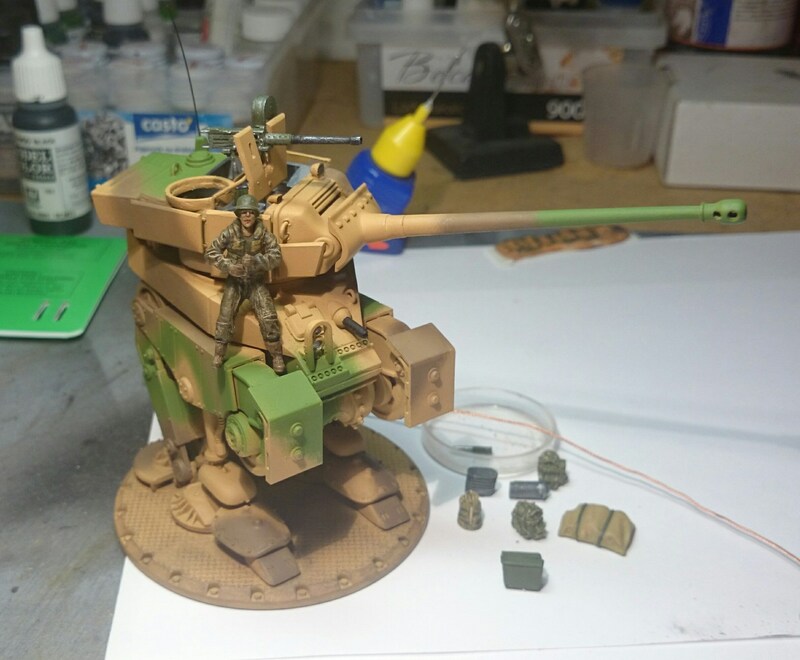 All plates are mounted on metal supports added to the turret. 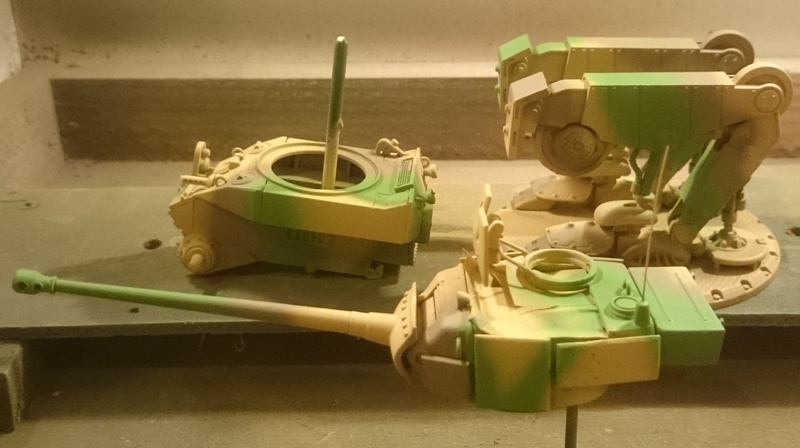 The Camo: Pounder presents three color camo developed for Allies forces in Middle Asia & Africa Theatres of War (Desert Yellow, Olive Green, Us field drab). 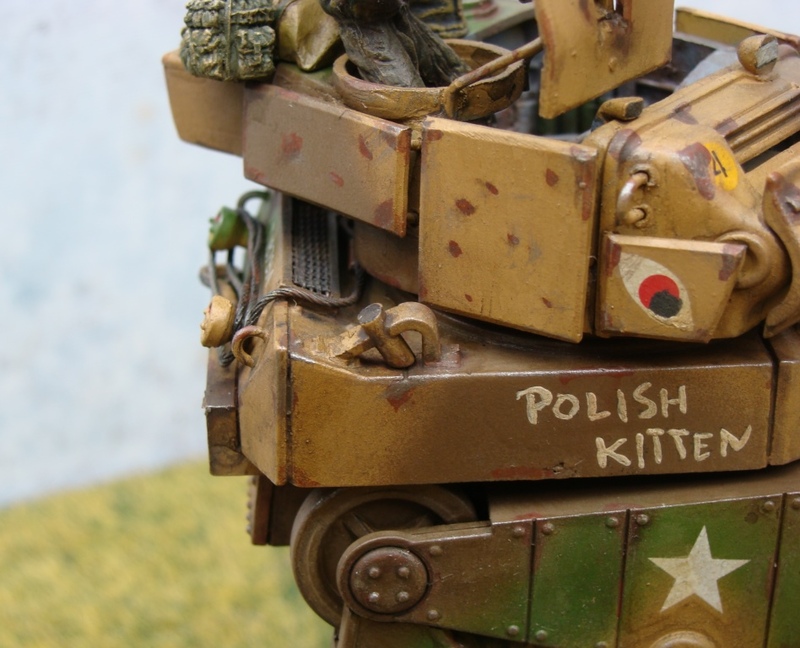 The Name&Decals: Polish Kitten was chosen by Internet Users who participated in voting J. Decals, especially Hussar Wings are tribune to Gen. Maczek 1st Polish Armoured Division. 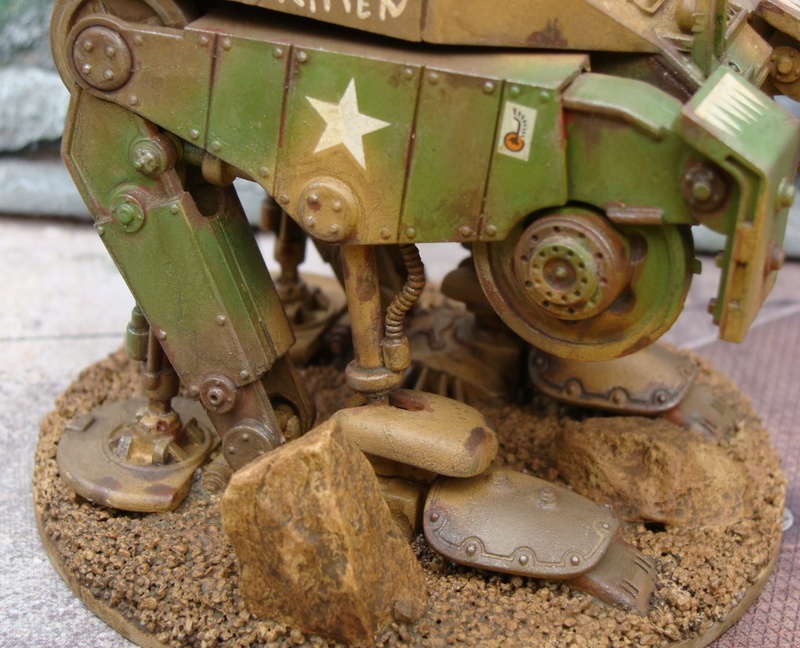 The Final Finish: Abrasions and overexploitation made based on several technique of weathering, shading etc. 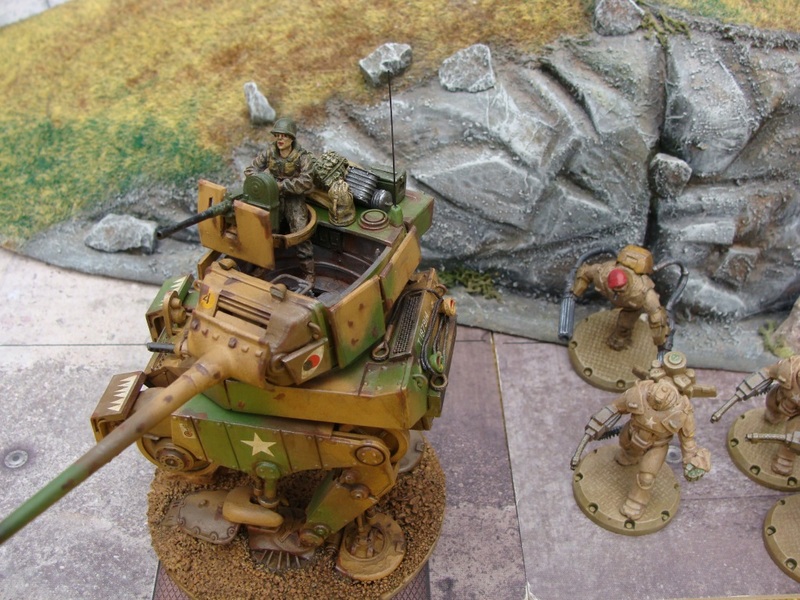 Link to Article about choosing the name of this Light Pounder.